The social upheavals of the late 1960s and ‘70s brought about a profusion of alternative publishing and radical media across the United States. In addition to political posters and underground newspapers, this period marked the flourishing of a radical feminist press in the United States. All-women collectives published broadsheets, magazines, novels, and posters, and in some cases worked to seize the means of production for the entire publishing process, from editing and writing to printing and distribution, in a separatist attempt to unlink themselves from a male-dominated society. Suzanne Snider, a writer and oral historian based in New York, is collecting an oral history of this movement. Recording narratives for Women in Print: Voices from the Radical Feminist Press (1960-1985), Snider traveled across the country, beginning with Oregon and California. The Bay Area, which was a center for the radical feminist press, was an obvious stop on the trip. “I could do a whole project here in Oakland,” she said on a recent visit, “but I want the oral history to cover the movement in Texas, New Mexico, Oregon,” and elsewhere. Among the women Snider came to Oakland to interview was Elana Dykewomon. Dykewomon’s first book, Riverfinger Women, “blew my mind,” Snider remembers. “She was twenty-four years old when she wrote it. It was published by Daughter’s Inc,” a pioneering lesbian press. Despite its nearly forty-year vintage, “it’s one of the more contemporary novels I’ve read,” Snider said. In addition to Riverfinger Women, published in 1974, Dykewomon (who changed her surname from Nachman in 1976) has published six other books, including the Oakland-centered novel Risk (Bywater Books 2009). Dykewomon also brought the lesbian feminist journal Sinister Wisdom to Oakland (where it was based from 1987–2009), and recently retired from many years of teaching writing at San Francisco State University. Once completed, the Women in Print project, featuring interviews with more than 40 women, will be archived in the Schlesinger Library at Harvard University's Radcliffe Institute for Advanced Study. (The first twenty interviews will be deposited this month.) In the next months, Snider will begin fundraising through Kickstarter in order to continue the project. More information on the project is online at womeninprint.wordpress.com. Excerpts from Elana Dykewomon’s oral history appear below. 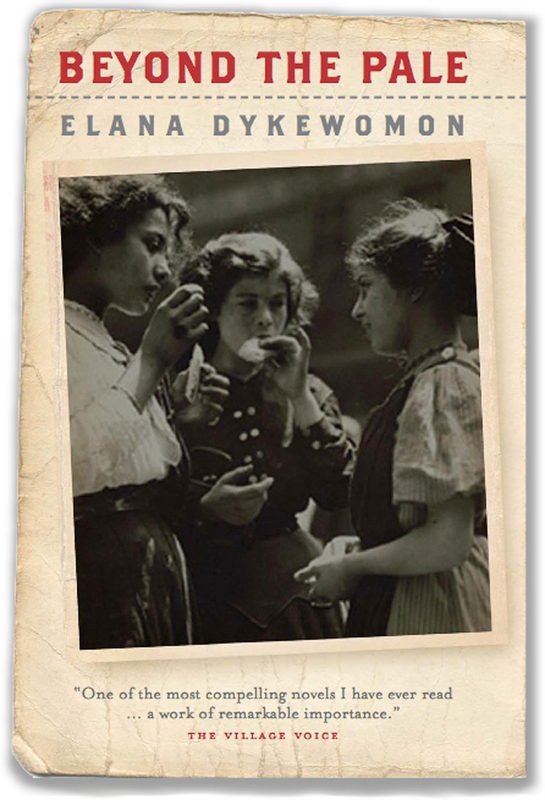 Elana Dykewomon's award-winning Beyond the Pale (Raincoast Books, 2003), is a work of historical fiction about the intersecting lives of a Russian Jewish lesbian midwife in the early twentieth century and an infant whose birth she attends. Both women eventually flee Russian pogroms and make their way to America. 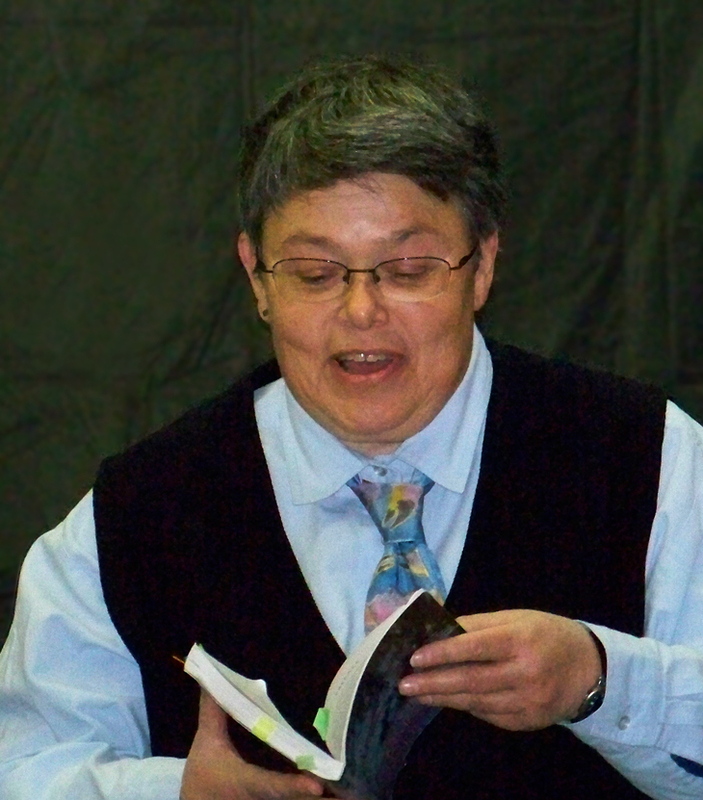 Elana Dykewomon at a public reading in March 2010. 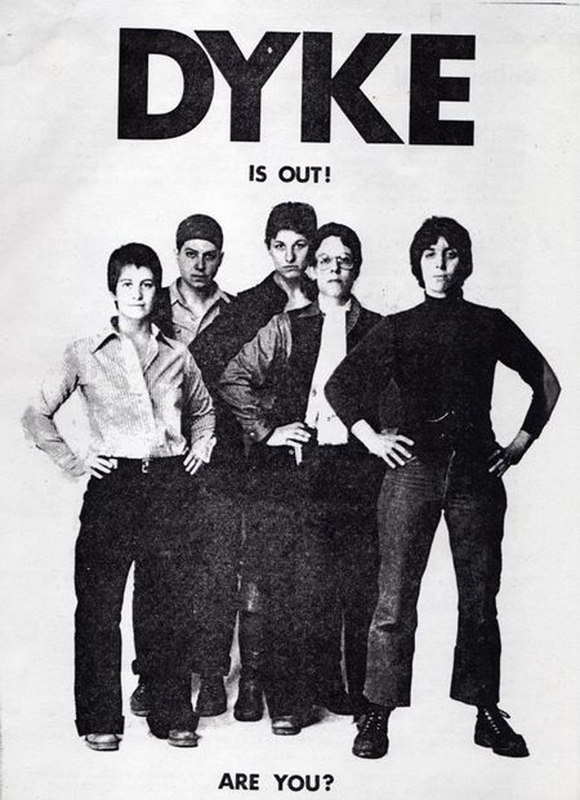 A flier announcing the creation of DYKE, A Quarterly, a magazine founded in 1976 by Liza Cowan (left) and Penny House (second from right). Image courtesy DYKE, A Quarterly. 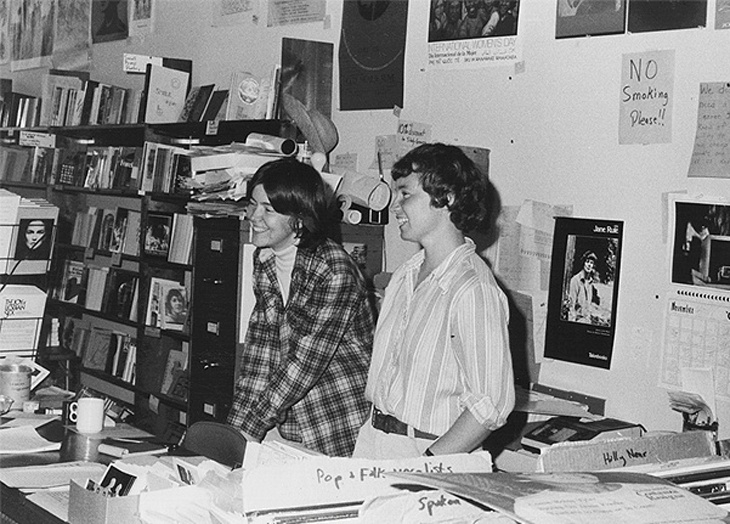 Carol Seajay with an unidentified colleague at Old Wives Tales bookstore in the 1980s. Seajay was the co-founder of Old Wives Tales, a pioneering women's bookstore on Valencia (near the 16th Street Mission BART) that closed in 1995. Photo courtesy foundsf.org. 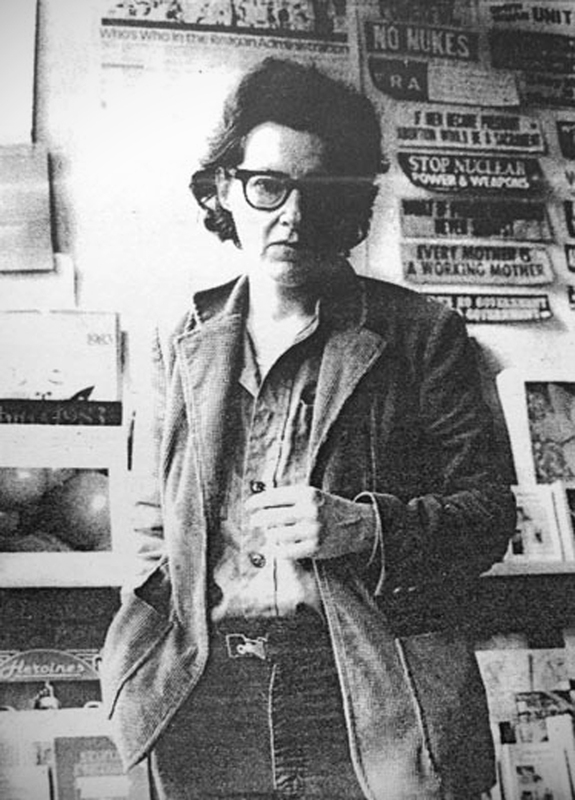 Alice Molloy, co-founder of ICI: Woman's Place Bookstore in Oakland, a bookstore that opened at 5251 Broadway (at the intersection of College) in 1972. The store closed ten years later. Photo courtesy outhistory.org. Members of ICI: Woman's Place Bookstore, a women-only cooperative bookstore that opened in Oakland in 1972. 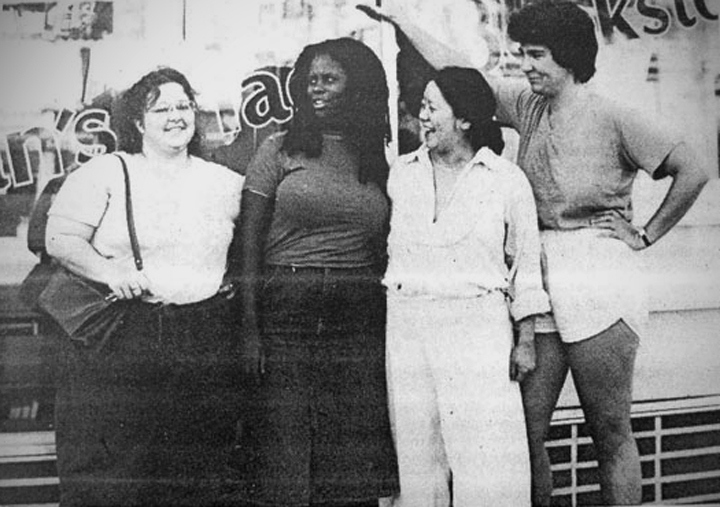 By the early 1980s there was substantial strife amongst the collective members, and in 1982, the women in this picture—Darlene Pagano, Elizabeth Summers, Keiko Kubo, and Jesse Meredith—arrived at work to find the locks changed. A note on the door from the two remaining collective members declared, "This collective is not a collective. It is a collection of women completely at odds with each other to the extent that meetings are emotional battery." Photo courtesy outhistory.org. 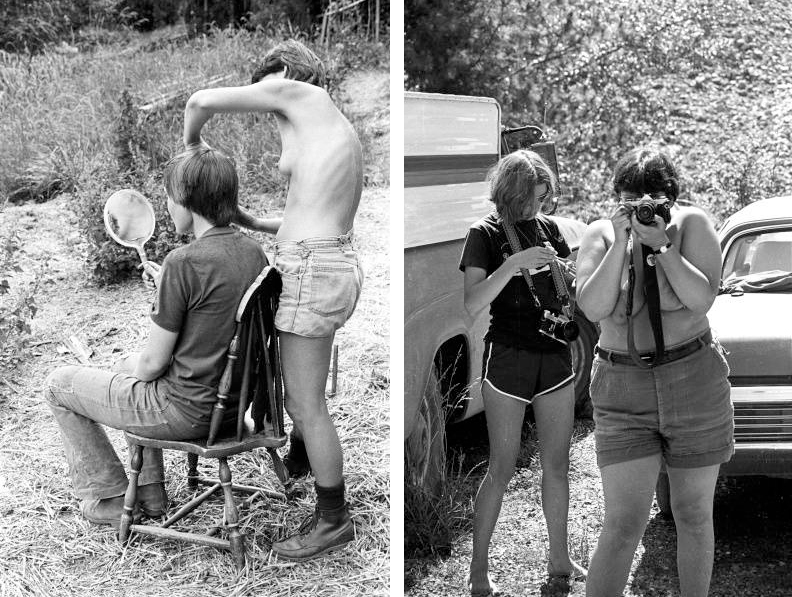 These photos are from the Rootworks archive, a trove of photographs by Ruth Mountaingrove, the creator of a separatist lesbian-feminist community in Southern Oregon. Mountaingrove and Tee Corinne, another prominent lesbian photographer, taught photography workshops at Rootworks and founded the feminist photography magazine The Blatant Image. Photos courtesy nothing-is-new.com and the University of Oregon.